Services offered in English, Russian and Persian. Contact Us For A Better Smile! Hummingbird Dental is a friendly, full service dental clinic in Richmond Hill. We offer a wide range of dental services including general dentistry, restorative and cosmetic dentistry procedures. 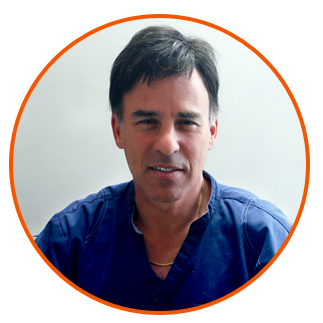 The caring team at Hummingbird Dental is intimately involved in improving patients’ smiles. 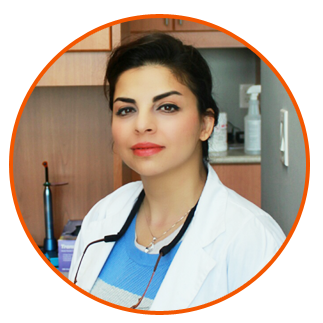 Dr. Taghizadeh and his team are among the best dental experts available in the region. Expect the best care possible for your entire family. 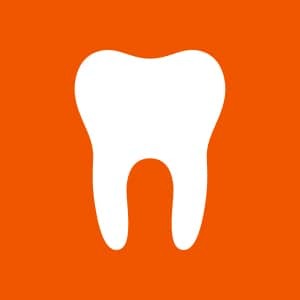 We place high priority in educating our patients to help them prevent future dental issues. 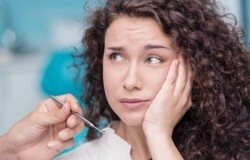 Visiting the dentist is traumatizing to some people, so it is our goal to make every patient feel as comfortable as possible in our dental office. Our dental office Richmond Hill is fully packed with all the amenities to help you feel calm, comfortable and relaxed as you receive the best care. We guarantee short waiting time in the reception area, a great service at the dentist’s chair and even follow ups to ensure you are coping well with the dental treatment. Every aspect of our family dentistry service is designed to make you feel as comfortable as possible during your visit. If you would like to have a root canal, teeth cleaning, fillings, oral cancer screenings or any other general dentistry procedure, we will be happy to schedule a consultation for you. You may want to consider our teeth cleaning procedures to brighten up your smile. 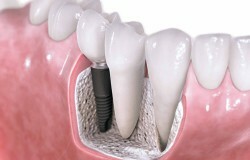 We offer the best smile makeovers done by specialized dentists. If broken or colored teeth make you feel less confident, consult our cosmetic dentists to give you the perfect smile makeover. We offer teeth whitening and bonding procedures that are proven to not only improve the look of your smile but also boost your dental health. We’ll recommend only the right dental treatment to keep gum infections and decays at bay. You’ll no longer have to hide your teeth or suffer pain and discomfort due to issues like misalignment or broken teeth that can be fixed. Perhaps you suffer from constant toothaches, missing or broken teeth that hinder your self-confidence. 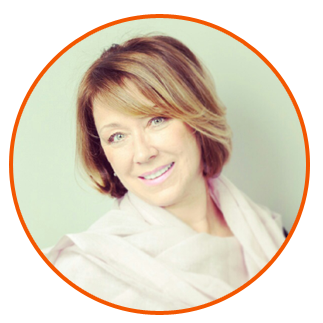 It would be worthwhile for you to consider any of our restorative dentistry procedures and improve your smile. At Hummingbird Dental we offer restorative procedures such as tooth replacements, permanent and removable dentures, veneers, bridges and dental implants. We’ll help you choose just the right restorative dental treatment to give you the desired smile makeover. Whether you have crooked, missing or discolored teeth or you simply want to visit the dental clinic for a regular checkup, we have the best specialists to keep you smiling beautifully. If you’ve been embarrassed by your smile for years or you’ve recently suffered an injury, our cosmetic dentists can give you something to smile about. 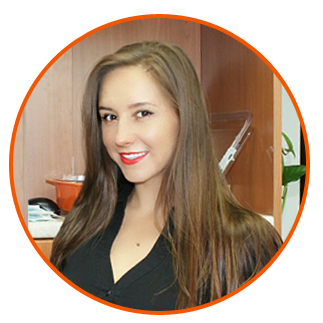 Visit Hummingbird Dental and you’ll find dentists with the right training and extensive experience in the dental procedures you are considering. We’ll offer you an exceptional service that puts you at ease during your visit. Services offered in English, Russian and Persian Languages. During dental exams, the dentist Richmond Hill will ask you a number of questions in order to evaluate your oral health needs and understand your overall health. For instance, the dentist may want to find out if you are currently under medication and whether it may affect your oral health. Individuals who take diabetes medication are at risk of dry mouth which increases the risk of tooth decay. If you are suffering from arthritis, notify the dentist so that he/she may recommend an easier way of cleaning your teeth effectively such as using an electric toothbrush. 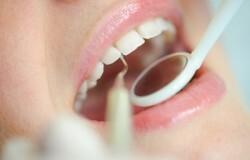 If you have any dental treatment that was previously done, the dentist will check to ensure it’s in order. For instance, individuals who have dentures and bridges require more regular dental checkups to ensure that the prosthetic replacement still fit properly and recommend adjustments when necessary. Your dentist may also recommend a change of diet if it will help to improve your oral health or make certain treatments work more effectively. You may be advised to avoid tobacco products and make other lifestyle changes to boost your oral health. Will You Undergo A Dental X-Ray? Dental x-rays are not recommended in every appointment. However, the risk of radiation exposure is very low when it comes to dental x-rays. 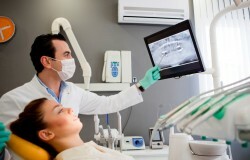 The different types of x-rays performed during dental visits include the bitewing which allows the dentist to focus on the upper and lower crowns of your teeth, a periapical which focuses on the entire tooth and surrounding bone as well as an occlusal which is an x-ray done to check how the upper and lower teeth fit together when you close your jaw. If the dentist needs to get a broad view of the entire mouth, he/she may perform a panoramic x-ray. Advanced dental clinics use a cone beam computerized tomography to provide a 3D view of the entire mouth. Your dentist or hygienist will always check to ensure there are no signs of serious conditions like oral cancer. This includes performing physical exams like feeling the areas under your jaw and the insides of your cheeks and lips to ensure there is no swelling or bumps. The dentist may require to make a replica of your teeth or oral tissue to better understand your bite problem and design a mouthguard of bleaching tray based on your condition. If you are visiting the Richmond Hill dental office for a regular checkup expect the usual oral exams to be done and some forms of treatment recommended based on your solution.